Welcome to Best Western Hibiscus Motel! Leave troubles behind and relax at this island paradise motel in Key West. Key West, Florida, America's Southernmost Tropical Island, is a vacation destination like no other. The tropical climate and easy-going nature of the locals are unrivalled. The Best Western Hibiscus Motel is the ideal location to stay during a vacation that will be sure to produce a lifetime of special memories. The hotel offers exceptional service to ensure each guest has a worry-free vacation. 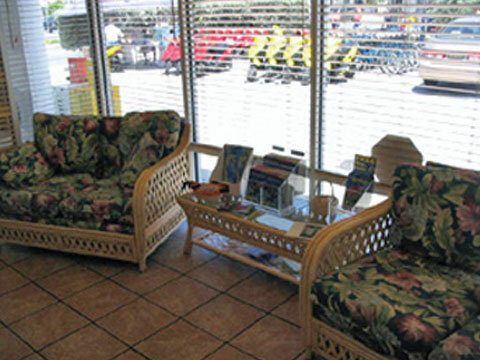 The Best Western Hibiscus Motel provides guests with the ideal starting point for an excursion to experience the beauty of Key West's renowned coral reef. Hotel guests will also find other popular Key West attractions nearby including shopping, restaurants, historic exhibitions and the Hemingway Home and Museum. Key West is at the top of the list for anyone looking for a Spring Break getaway with spectacular scenery and impeccable beaches. The grounds for the Best Western Hibiscus Motel include exotic palm trees, a heated pool and JacuzziÂ®. A free breakfast each morning is included in the hotel stay as well as high-speed Internet access. Make an online reservation today at this Key West motel and save!